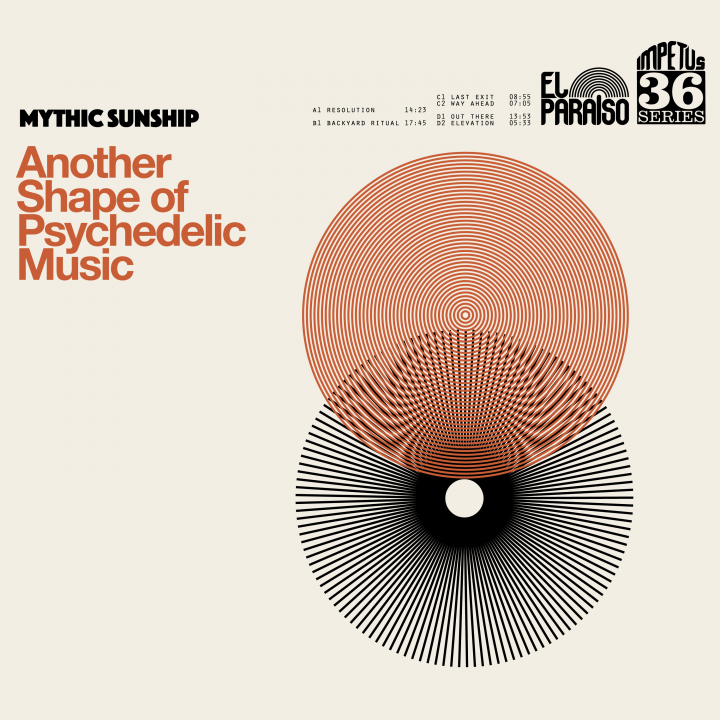 Mythic Sunship comes back from outer space with a masterpiece entitled Another Shape of Psychedelic Music. No doubts Copenhagen quartet has just released one of the album of the year. Their fourth LP, the best so far. 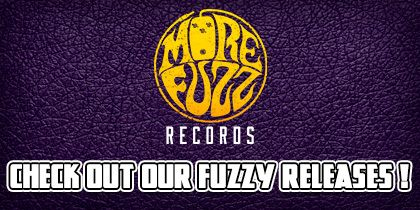 As our fuzzy minds are always seeking new hazy discoveries, we sometimes think nothing can surprise us when it comes to heavy psych music. But from time to time, one album crashes on planet Earth like an asteroid and extends the boundaries of a genre. New Mythic Sunship belongs to this rare category. Another Shape of Psychedelic Music : the title itself sounds like a manifesto and here is the point: the Copenhagen band delivers an incredible and deep (62mn !) exploration into psychedelic territories between jazz fusion, 70’s progressive rock and heavy psych galaxies that widens our musical horizons. This great musical experience does not come from anywhere. Another Shape of Psychedelic Music has been designed under the aegis of the master of the genre, Causa Sui, and released on one of the sharpest label of recent years : El Paraiso Records – Damned, so many reasons to go to Copenhagen ! From first song “Resolution”, influences from psych jazz jump out at our face. As an opener, it sets this LP apart from their previous productions. It introduces the spirit of the entire album beginning with the addition of a saxophone. It emphases a kind of surrealistic framework that turns into a frenzy space rock after some minutes. This music, clearly influenced by Causa Sui (and their guitarist and producer Jonas Munk, who worked on the album) drives us through mesmeric musical landscapes before dropping us in a controlled psychedelic chaos. Second track “Backyard Ritual” opens with a drumming style closer to afrobeat rhythm. It will certainly remind you Causa Sui Summer Sessions ! Along with the drums, the bassline allows the sax and dual guitars to fly around in an airy jamming style using wah-wah and modulation effects. After 10mn and a first rush, the track drops into a kind of hazy bridge which gradually turns into a more aggressive heavy psych style. It ends in a crazy cacophony which takes you to another dimension where fast and furious psychedelism is king. Then, no time to rest with the fourth cut “Last Exit”. This one begins as the previous one ended : in a total frenzy cacophony of cosmic jazz. After three minutes the track slips in a more traditional space rock shape with a ferocious and repeated riff. It delivers a very catchy groove that gets closer to heavy metal influences. Following song “Way Ahead”, shorter than the other (7mn), comes back to the roots of the band with the predominance of bass/guitar couple. Still, new influences are there, especially in the two last minutes, so that we understand all the progress the band has realized with this fourth production. Two last tracks “Out There” and “Elevation” stick to the core of the album displaying atmospheric and jazzy melodies before to crush into frenetic and flourished jams. Again, level of different instruments in the mix is very well adjusted and makes these jams so pleasing to hear. “Elevation” perfectly concludes this journey into space. Guitar slows down and brings some doomy inspirations to build up the appropriate end for the album: an apex of musical improvisations, a true praise for an experimental approach in instrumental psychedelic music marrying jazz and heavy psych galaxies. Because when people will talk about experimental and psychedelic music in future years, El Paraiso Record will be regarded as one of the most important contributors to the genre. You don’t sign on it for no reasons. Because you hold a new band that manages to gather jazz and space rock. When you get some rest and you want to enjoy a sweet, deep and exotic journey directly from your living room. The name of the band is a mix between two jazz masterpieces: Of Mythic Worlds by Sun Ra and Sun Ship by John Coltrane.